Most of our friends and family know this story on some level, but we get asked a lot and have to abbreviate the story for people we meet as we go. But it bears telling the whole story here – how we got into sailing. It all started back in the 1950s…with my grandfather. 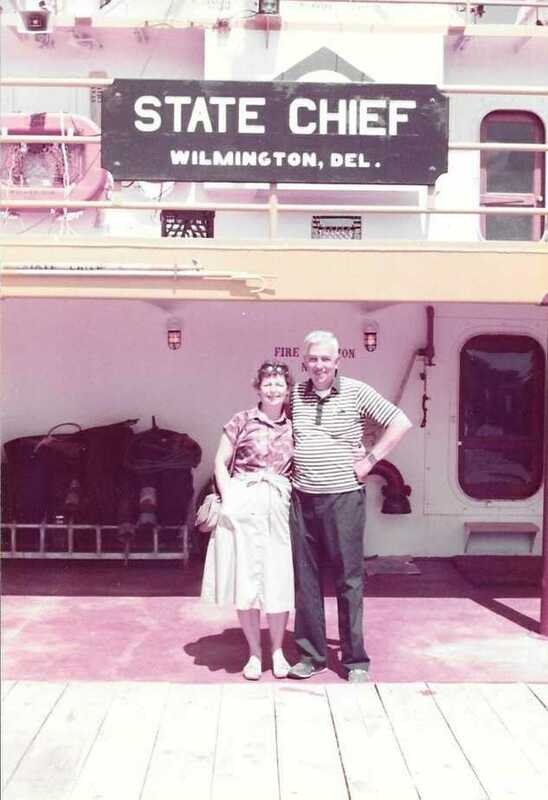 Grandpa Lober started a company called State Boat, which operated offshore supply vessels. 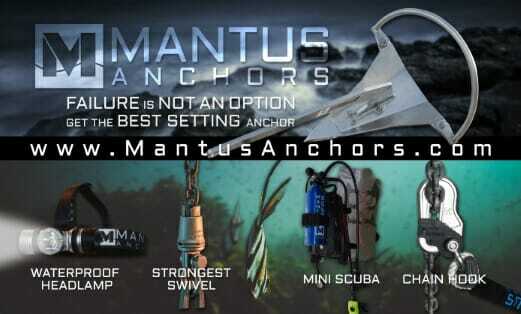 The company grew to over 40 boats around the world during its lifespan. 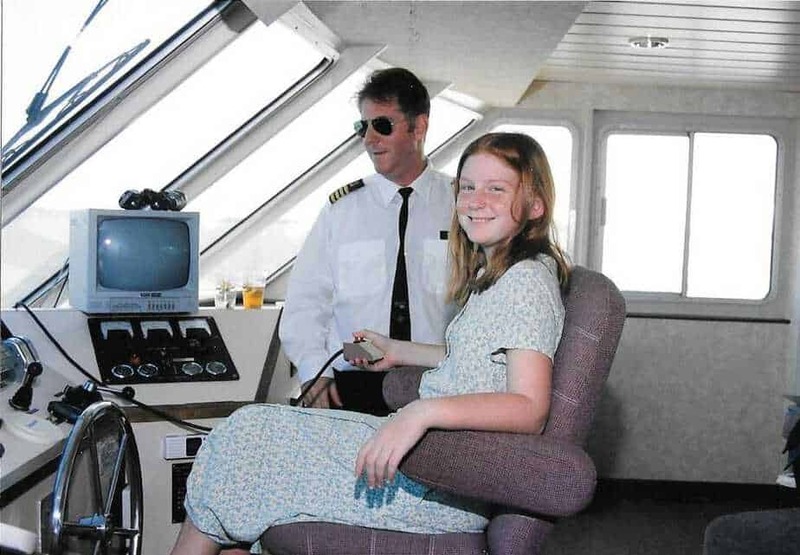 I have pictures of myself and my parents aboard the boats. 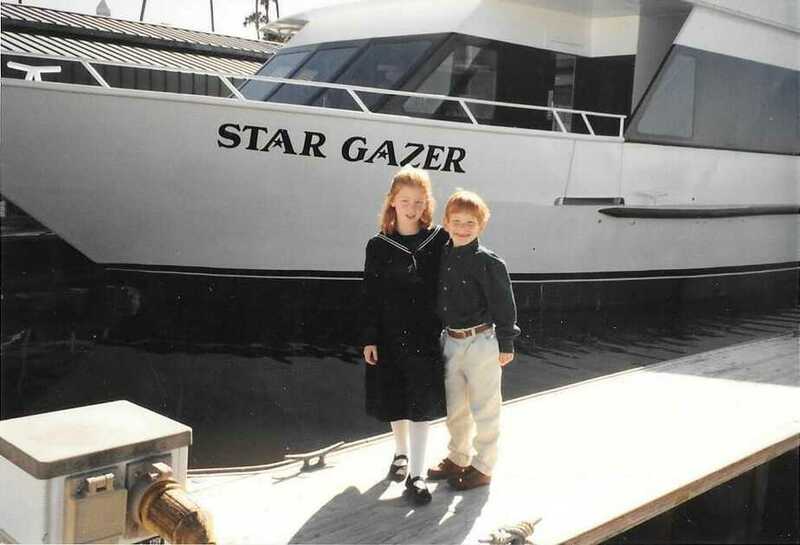 Before we bought Starry Horizons, I spent some time going through old photos and the Internet to find out more about each of these boats. Some of them are still in operation today under different companies and names. Maybe we will run into one while we are out and about. 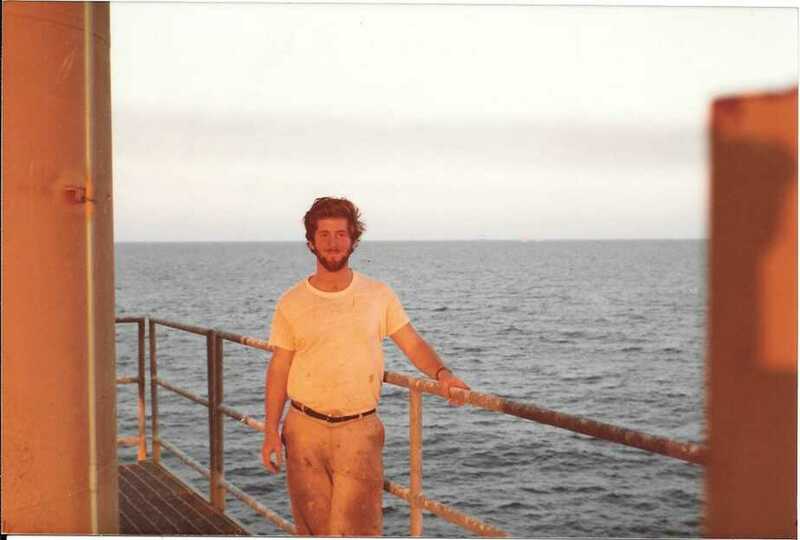 Dad on a oil platform while working for State Boat in 1982. My grandma Lober on the State Star in 1958. The State Star was the 4th boat in the fleet. My Grandparents VonBargen on the State Chief in 1984. Dad on the State Flamingo in 1984. Dad with the State Swan. Next up is my Uncle Jim. In the 1980s, Jim bought his sailboat, Requisaire, a Hinkley Bermuda. Jim traveled the east coast and Caribbean for a few years, and then settled into life as a lawyer back in Houston. But he still has Requisaire, and she’s now kept in Camden, Maine, where Jim and his wife Melinda spend their vacations. They are the reason we went to Maine on Starry Horizons. Jim and I with Requiescere in 1988. 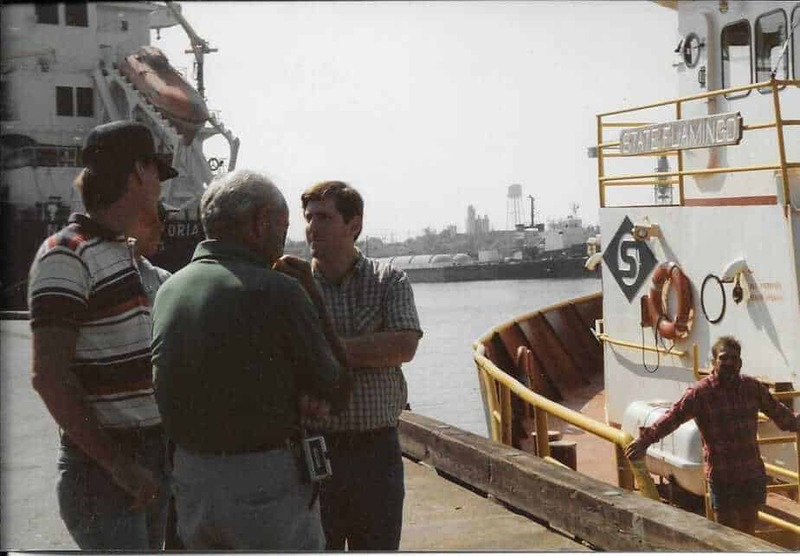 Uncle Jim, Dad, my brother and I on Requiscere in 1992. Next, we have my parents. Both my mom and dad went to Texas A&M at Galveston. My dad graduated with a degree in Maritime Transportation, and my mom with a degree in Marine Science. They both spent a lot of time on the Clipper, the crew ship of TAMG, where they got to travel the world. 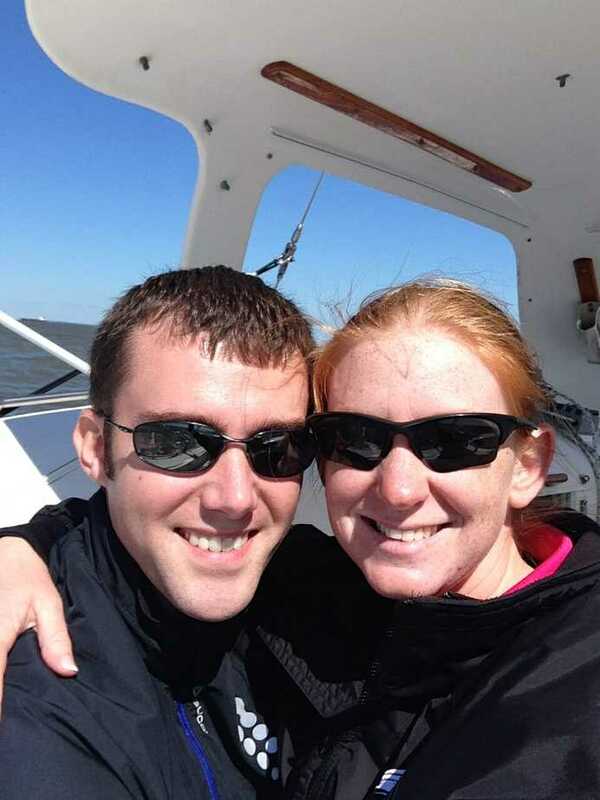 They met at A&M, and after graduation, moved to Louisiana, where Dad went to work for State Boat. That’s where they had me! When I was a baby, Dad attended Maine Maritime, and we lived there for a while. 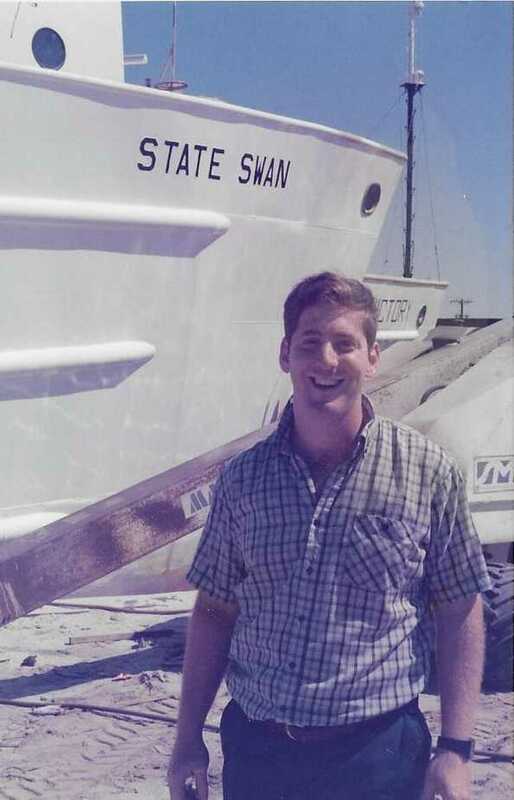 Dad worked for State Boat until it was closed in the late 80s. From there, my dad started his own company – Star Fleet. I’ve talked a lot about Star Fleet before – it’s a large period of my life. 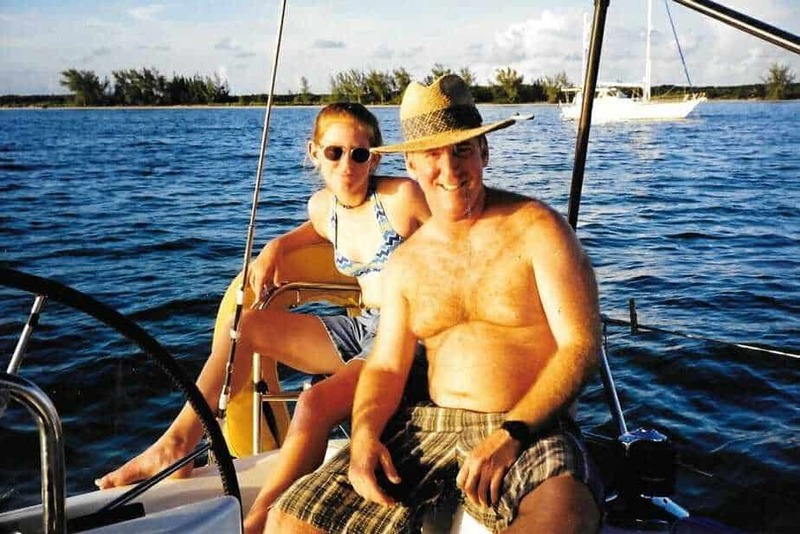 When I was a pre-teen, my dad chartered a sailboat in the Bahamas, and then in high school, I went for a week in the BVIs with my best friend Bronwyn (who you may remember from Bermuda) and her family. In high school, my parents (mom and step-dad) had a monohull, Utopia, a —-, that we would take out for day sails as a family with our friends. I have great memories of sailing Galveston Bay with my high school friends, with Mom packing a picnic. When I was in college, my dad started to really get into sailing. He bought a Hobie cat, and pushed the boundaries of its utility. Dad created a suitcase with solar panels on the outside, that would open up to navigation equipment in the inside. He would pack a sleeping bag and tent and set it up on the trampoline of the Hobie to camp out. One time he left without filing a float plan – and the CG sent a chopper out to look for him. A few years after buying the Hobie, Dad decided to upgrade to a Maine Cat 30 – named Star Cat. Again, Dad sailed beyond what was really expected of this coastal cruiser. Dad single handed the boat for most of the trip to the Bahamas and back. I joined him for about 3 weeks, crossing the Gulf Stream, enjoying Nassau and Eluthera, and then coming back with him through the Okachobee waterway. Doesn’t Dad look like a Salty Sailor? Now we get to David. David had only sailed a handful of times when he was a kid, although both his grandparents had boats. 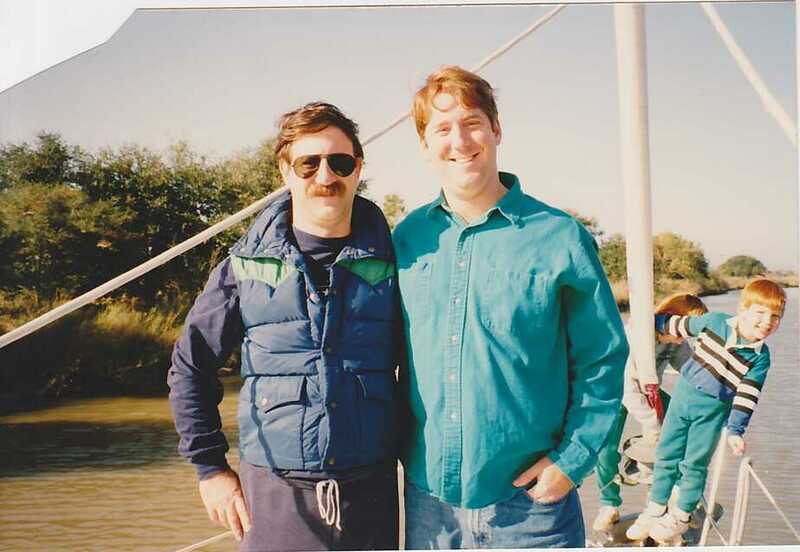 About 6 months after we met, my dad wanted to celebrate his birthday by taking us out for a sail after work. We sailed the Star Cat to Alena Island, grilled dinner, and sailed back. That’s where David’s spark was lit. 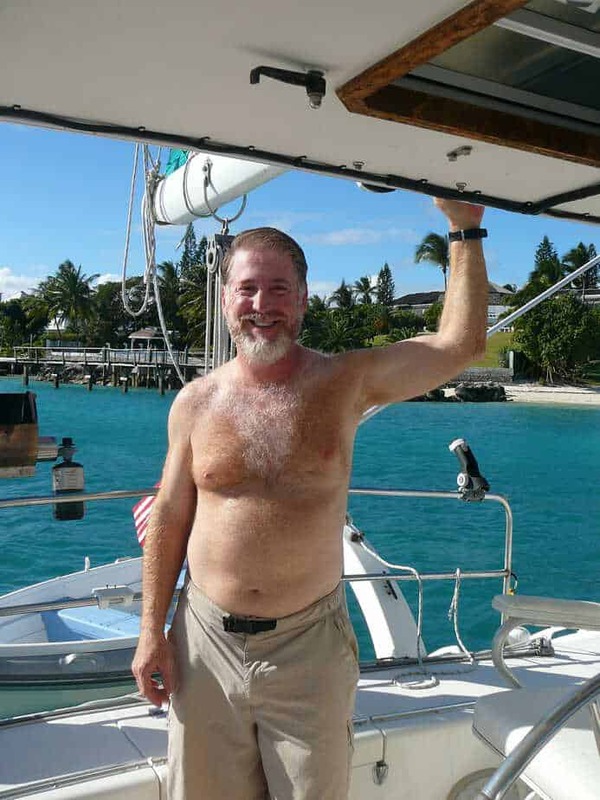 As most future cruisers do, David started gorging himself in sailing videos and cruising blogs, and then the idea was formed that we would take off and go cruise around the world. 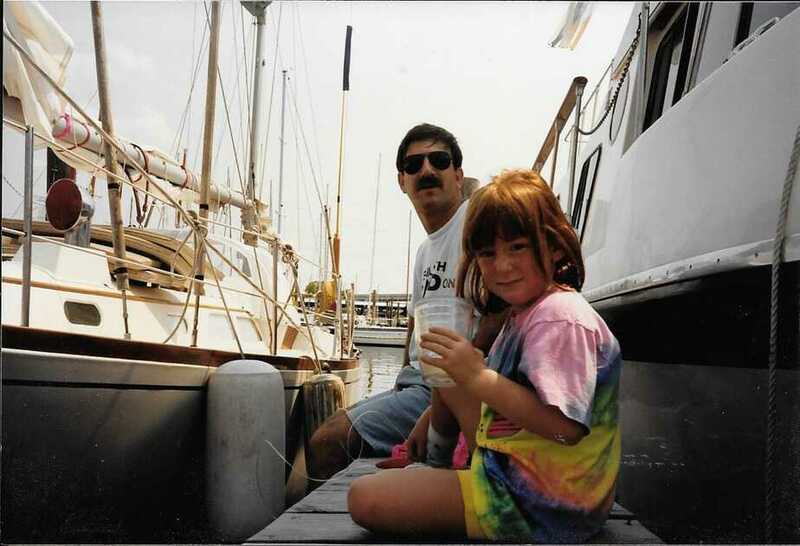 When Dad died six months after that first sail with the three of us, I took over the business, which consisted of four passenger boats and the Star Cat. David and I started really learning to sail, thanks to Captain Nick, and adventuring out on the Star Cat. Eventually, we both got our 100 ton Master’s license, and David left Shell to work as a captain for me. So there you go! Our first sailing adventure together in 2009, to being licensed captains in —-, to buying Starry Horizons and setting off across the Atlantic together in 2014. We are lucky to have our families be so supportive of us. Loved seeing all the pics, would love to see more current pics of your adventures in your posts. Definitely sounds like sailing is in your blood – clearly you come from great backgrounds! I like the pictures! The picture of Claire in 1958 – the year I was born, and a year before Tom? – is great! 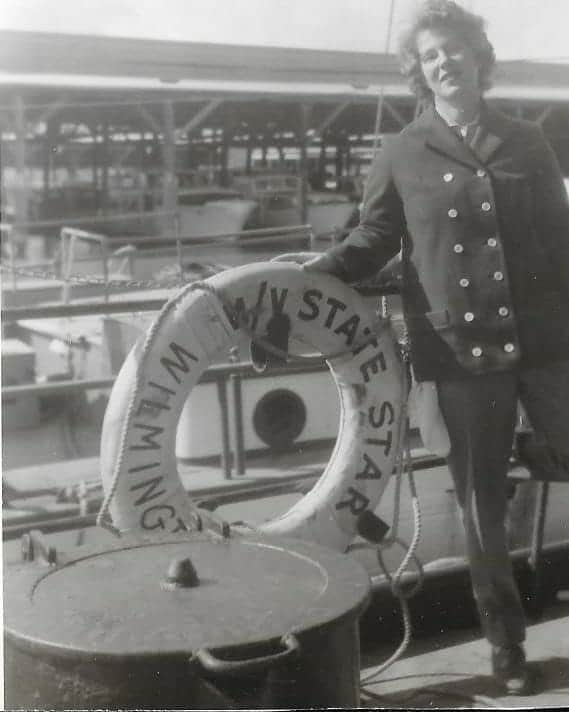 Growing up, I was always interested in State Boat – Bob and his brother – my Dad – took pretty different paths with their careers! Needless to say, I liked all the pictures of you, Tom, and Jim as well – lots of different memories of the Texas Lobers over the years. Like the whole Wilding Lane, late night bicycle adventures with your dad thing, when we were both in high school… I hope your grandmother doesn’t read your blog…! Hey Bill! I’ll have to send you the info I have on State Boat sometime so you can see the research I complied. Lober does not read the blog but I think your parents do!! thanks for sharing a wonderfull story. Great story. I have a picture of me pregnant with you on one of the State Boats. I’ll have to dig it up!